James Corbett joins Dan Schultz of New Culture Radio to discuss the new Fake News and Russian propaganda memes by which the establishment is fighting back against the independent media. But as the independent media rises, can it resist the lure of power, or will it just be absorbed by the powers-that-shouldn’t-be? And what role does the public have to play in this? I love it when Corbett re-emphasizes the fundamentals. We, as individuals can create our own nomenclature. Nomenclature helps create the meme thus shaping society. “Pizzagate” is one term which recently came about. We can also develop terms which easily convey the idea of “decentralization” and “counter-economics”. Hehehe. First, on the subject of memes, the current meme in alternative media is talking about fake news lists, damning that as an attack on the alternative media, and attribute it to desperation and panic on the part of the MSM. So, in other words, all very self-serving and self-congratulatory, and without any sort of citation at all. I mean, it’s not that difficult to figure out that fake news exists and isn’t a great thing, but that plays no role at all in the discussion, does it. I see that WhoWhatWhy, a bridge between mainstream and truly alt media, did a bit on fake news, and they actually talk about the problem with fake news. What’s wrong with that? Second, on citations, this piece points out an aspect of alternative media where I think the view is that citations aren’t really necessary, which is when one alt media person interviews another alt media person. An example of this might be the recent CR interview with Larken Rose. This was clearly not just an interview, but a joint agenda-driven attempt at getting people not to vote. The title given to the piece was about the immorality of voting, but were there other sources, some source with some sort of expertise about or relationship to morality in general? No, there was just an alt media person (or two) going on and on about their opinion, and seemingly being presented as some kind of news content. “Melbourne Thunderstorm Asthma” incident is one example of citation needed. The official story is that pollen caused it. That is false. Alternative media stories elude to chemtrail activity. But that is false also. The culprit is ergot (mold/fungi). When you follow the thread and links, the data comes together. Of course, a person might need to educate themselves more on ergot. 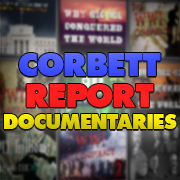 Like Corbett points out, we can help to create a meme which cites sources. I also feel that many times people can strain at hypercriticalness about endeavors that other people are doing (whether news reporting or an entrepreneurial venture or lifestyle or whatever). When I find myself in that fault-finding OCD aberration, often a voice in my head goes off talking to me that says: “Hey bud! Well…if you don’t like, then go do it yourself.” or “You do it better then.” I humble pretty quickly. It is up to us as individuals to help shape things as best we can in a more positive way. PS For the record, I have run tests on chemtrail activity. Now, that’s a pretty direct, clear statement and it’s kind of hard to misunderstand what he’s saying. It’s also a completely unsupported statement – the only thing is a link to that video about how voting results could be manipulated/fabricated; there is nothing presented at all that could be considered that votes, all votes, actually aren’t counted. Yet at other times he recognizes voting results, including with regard to this same presidential election. What he was actually consistent about in this election cycle was advocating not voting, his agenda to persuade/convince people not to vote. So how is that different than the MSM basically telling people they should be voting for Hellary, it would be insane to do otherwise? In my mind criticizing that comes right off the table if one is also going to engage in this other stuff. Yes, there is a place for editorializing, and one certainly can utilize hyperbole to make a point. But one has to make sure it’s clear that this is what one is doing, and I don’t think that was what James was doing. In my opinion he was throwing legitimate journalism out the window to pursue a personal agenda. Once someone does that, when can they ever be trusted again as a source of newsworthy information? It may not matter to someone who shares the same opinion and point of view, but then this isn’t a news source, is it, rather it’s just some sort of little anarcho-ventriloquist club or something. What specifically chapped my ‘nads here was the introduction about quality journalism, nothing like mainstream media, yada yada, and James didn’t go, “well, thank you, but perhaps that’s a bit of an exaggeration…” Then of course there was the “citation needed” thing that followed. Meet the new boss, same as the old boss? That’s not what I want of course, so I hope this is taken as constructive criticism. I see what you are saying. It makes sense on your perspective. 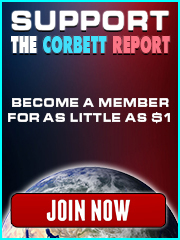 I have a somewhat different take, perhaps because I have followed many of Corbett’s previous posts which often fill the void. I wont be so nicey nice as HomeRemedySupply was. “Meet the new boss, same as the old boss” ?!! Youre an idiot ! To say James is even remotely similar to msm is assanine and shows you know virtually nothing about James and his work ! And his so called personal agenda is to help the world by exposing the powers that shouldnt be in a clear, intelligent, well researched and as accurate as possible fashion and talking about solutions. If you cant handle the truth or youre still brainwashed by the establishment then go back to cable “news” or the actual fake news and dont waste our time on here. Here is part of the speech from the movie at 1:04:00. “hydra was founded on the believe that humanity could not be trusted with its own freedom. what we did not realize, was that, if you try to take that freedom, they resist. The war taught us much, humanity needed to surrender it’s freedom willingly. Hydra created a world so chaotic that humanity is finally ready to sacrifice its freedom to gain security. Now replace Hydra with NATO or CFR or bilderberg group. The movie is (believe it or not) Captain America The Winter Soldier (2014). When talking about dumbing down and Idiocracy, I think it is a mistake for the alt-media to take the movie literally and deduce that the problem originates from the lower class who watch reality TV. I am in the middle of the corporate world in “Tech” and I can tell you the professional class appears to be the biggest problem. This group intakes a lot of mainstream political news without question and are the biggest cheerleaders of their own political team. Read the comments in “Ars Technica” about the “pizza gate conspiracy” shooter. Cogs in the machine would not be an accurate analogy. These people are analogous to software modules. They can perform complex operations, but can only take a narrow range of inputs. Veer outside of this limited range and you will gate a “rageful” of error outputs. Thanks. This is worthwhile insight. I, too, have noticed that certain groups of people (profession or ethnic or trade or otherwise) tend to be literal in adhering to what an “authority” says. It is like they can’t think for themselves nor question the things which don’t add up.